All new for 2019, Parsec Headphone Cable improves upon its predecessor, the original Cardas Headphone Cable, with more finely stranded conductors, and improved dielectrics & shielding. Now part of the Parsec family of cables, it brings added dynamic range, and better imaging to any headphone. 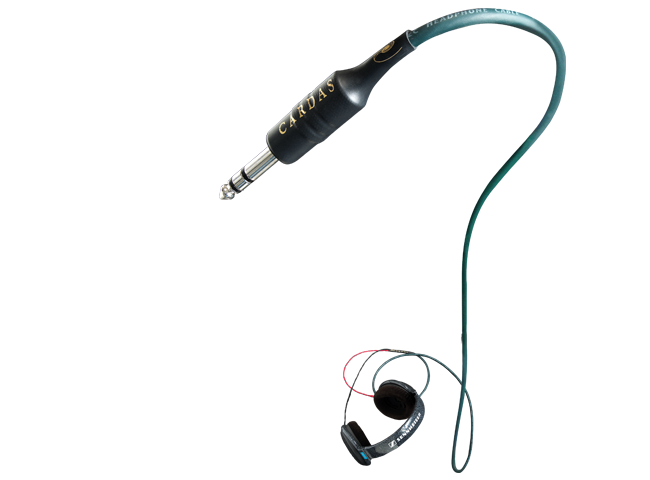 The original Cardas Headphone Cable was developed 16 years ago, originally as a one-off project for George’s daughter Angela, who was a disk jockey at a radio station in Oregon. Through constant daily use, she went through a couple of stock HD600 cables, and suggested to her father that he make a cable for her. Her request turned into a product development project, which turned into our first headphone upgrade cable. Parsec Headphone continues the legacy of the original Cardas Heapdhone Cable, with performance improvements that earned it a place in our Parsec product line. .198" O.D., Cardas copper, PFA dielectric, 4 x 23.5 AWG conductors, Golden section, Crossfield, spiral & semi-conductive tape shield, litz, TPR jacket.. Available for most headphones with a user-replaceable cable. 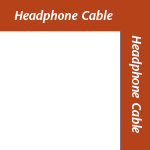 Click here for a list of all headphone cables.